Voting for USG executive and senatorial candidates is in motion. Students will be able to vote on their mobile phones or computers, but polling stations for students will also be at each of ASU’s four campuses. Below are maps of polling locations. Voting for USG executives and senators will take place March 28 and 29 and winners will be announced on March 30. A polling station will be located outside of the Memorial Union from 10 a.m. to 5 p.m. on March 28 and 29. A polling station will be located on Taylor Mall between the University Center and the Cronkite building from 9 a.m. to 5 p.m. on March 28 and 29. A polling station will be located at the West Patio of the Student Union from 9 a.m. to 5 p.m on March 28 and 29. However, this station is “more or less an information placeholder as voting can be handled online through computer or phone,” according to the USGP election commissioner, Christopher Carlton. A polling station will be in the general area of the Fletcher Library and SANDS building from 9 a.m. to 5 p.m. on March 28 and 29. Reach the editor at politics.statepress@gmail.com or follow @alliebice on Twitter. 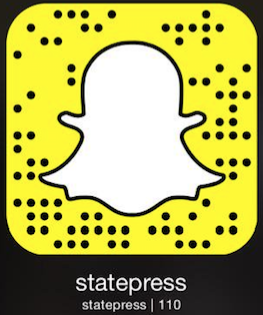 Like State Press on Facebook and follow @statepresss on Twitter.